Today's blog post is actually not written by me. I have decided to include articles and posts from other writers and bloggers, and today's guest post is from the folks at Tripovo, a startup based in Kuala Lumpur. Southeast Asia is one of the most notable havens of enchanting historical sites and fascinating buildings. And over time, the region has built some contemporary structures to keep up with the shifting culture. No! South East Asia is not just paddy fields and a big jungle filled exotic felines and orangutans. It is so much more than that, you, not well travelled European (serious though, my Eureopean friends think Asia is a big rice field). Enjoy the virtual trip as we zoom in some of the most iconic structures in Southeast Asia. All these architectural pieces are definitely worth a visit! This architectural and luxurious marvel is located in the heart of Singapore. 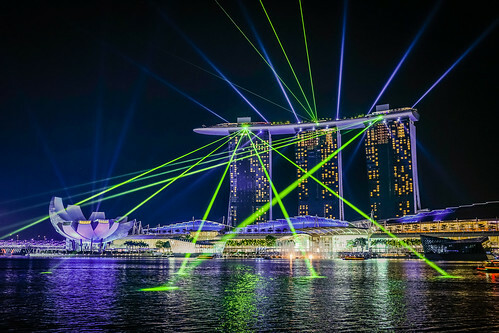 Marina Bay Sands is a high-end resort that caters a hotel, mall, museum, skating rink, casino, theatres and restaurants. What more could you ask for? And to sum it up, it is considered as the most expensive stand-alone integrated resort. Book your trip to Singapore, maybe? 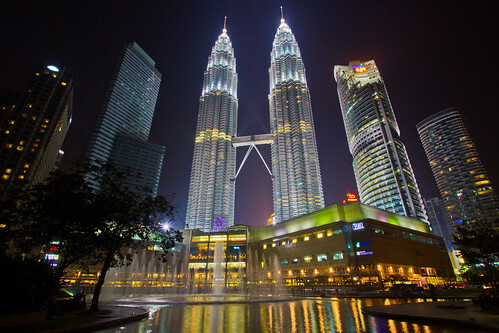 When you talk about Malaysia, most travelers could think about the iconic Petronas Towers. These towers are the most popular buildings in Kuala Lumpur and they were once the tallest structures in the world. It certainly deserves a spot on our list! The golden Shwezigon Pagoda in Bagan is one of the most significant, oldest and impressive religious buildings in the country. The structure sparkles bright in the whole city. Such a golden sight! 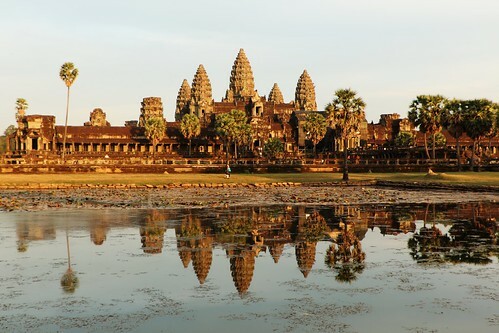 Angkor Wat is a mesmerizing masterpiece of Angkorian architecture. The structure served as a temple to the Hindu god Vishnu and a personal mausoleum of the monarchs. The interior details of the temple depicts the historical events and mythological stories which is still visible in the country up to date. Pha That Luang or 'The Great Stupa' is the most significant Buddhist shrine in Laos. It is a golden fortress bordered by towering walls and splendid interior designs. 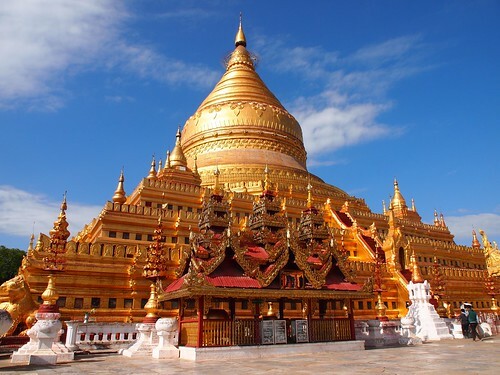 The large golden stupa covered with gold, portrays the beautiful architectural Lao style - classical and regal. The architectural design of the Grand Palace was inspired by Ayutthaya, the ancient capital of Thailand. 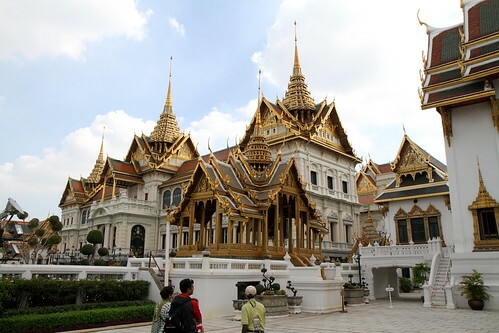 The Grand Palace is a large complex of buildings that illustrates the finest Thai style, such as artistic crafts, paintings and Buddhist sculpture. To add, Thailand in itself is such a great place for everyone its cities Bangkok are great for nightlife and shopping. No wonder it is such a hit amongst the Western crowd. In the frenzied city of Manila, Philippines, University of Santo Tomas stands out as an attractive and peaceful sanctuary. 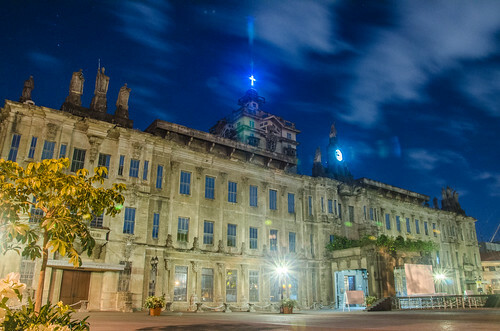 UST is the oldest university in Asia and is one of the world's largest Roman Catholic colleges. Aside from the ever popular Halong Bay and wonderful waterfalls, Vietnam is also packed with iconic structures. 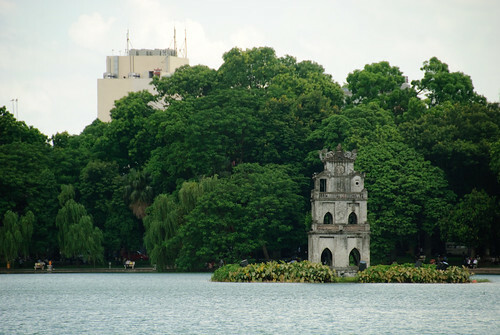 One of the most notable buildings in Vietnam is the Turtle Tower of Hanoi which is a very popular destination for tourists. The splendid work of art was named after Omar Ali Saifuddien III. 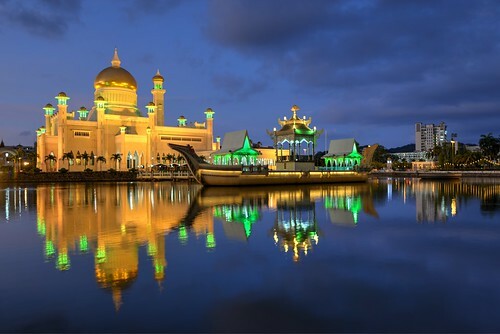 The royal mosque which is located in the capital of Brunei, is considered as a symbol of the Islamic faith in the country. Definitely a majestic sight to witness. Wisma 46 is the tallest building in Indonesia. It is commonly known as the Fountain Pen building. 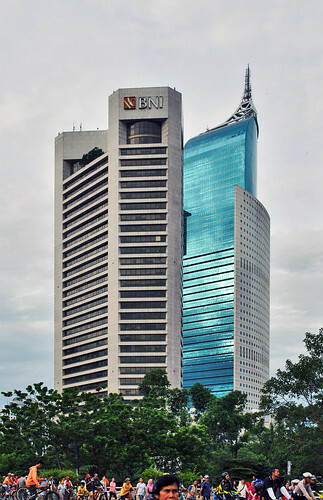 The structure dominates the Jakarta skyline and other commercial buildings in the Central Business district with its exceptional design and stature.